So, evidently the explosive video that the late Andrew Breitbart promised would derail the Obama Presidency is a video about Derrick Bell. In the video, a law college student by the name of Barack Obama is seen introducing the law professor at a diversity rally before hugging him. Yes, that is the explosive point the Breitbart was trying to make. He wanted to show that Obama was closely linked to the 'radical' Derrick Bell. Yes, he and his grouped labeled the late, great Derrick Bell a 'radical.' Lord knows if Derrick Bell is what one defines as a radical I hope and pray that one day people will say the same about me. Here is a little bio on Mr. Bell. I hope you will take the time and do some research on the man for yourself. Derrick Albert Bell, Jr., was born in Pittsburgh, Pennsylvania, on November 16, 1930. After graduating from Schenley High School, Bell was offered a scholarship to Lincoln University but was unable to attend because he did not receive enough financial aid. Becoming the first member of his family to go to college, Bell chose to attend Duquesne University, earning his A.B. in 1952. While attending Duquesne University, Bell joined the ROTC, and following his graduation, went to Korea as part of the U.S. Air Force. Returning from the war in 1954, Bell attended the University of Pittsburgh Law School, earning an L.L.B. in 1957. Bell was hired by the U.S. Justice Department after graduation, but left in 1959 over his refusal to terminate his involvement with the NAACP; subsequently, Thurgood Marshall recruited him to join the NAACP Legal Defense Fund where he oversaw three hundred school desegregation cases. In 1966, Bell was named deputy director of civil rights at the U.S. Department of Health, Education, and Welfare, before becoming a teacher at USC law school and director of USC's Western Center on Law and Poverty in 1968. 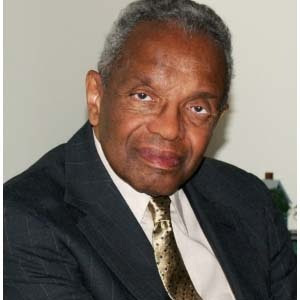 In 1971, Bell became the first African American to become a tenured professor at Harvard Law School; there he established a course in civil rights law and wrote Race, Racism and American Law, which today is a standard textbook in law schools around the country. Leaving Harvard, Bell became the first African American dean of the University of Oregon Law School, and in 1985, he resigned in protest after the university directed him not to hire an Asian American candidate for a faculty position. Returning to Harvard Law School, Bell would again resign in protest in 1992 over the school's failure to hire and offer tenure to minority women. In addition to his work in the classroom, Bell is an acclaimed author, having written numerous books, most notably his series featuring fictional civil rights leader Geneva Crenshaw, including And We Are Not Saved and Faces at the Bottom of the Well. In 2002, Bell wrote Ethical Ambition: Living a Life of Meaning and Worth, which contained his thoughts on achieving success while maintaining integrity. Most recently, Bell authored Silent Covenants: Brown v. Board of Education and the Unfulfilled Hopes for Racial Reform. Bell has been the recipient of numerous honors and awards; his later work includes serving as a visiting professor of law at the New York University School of Law. Derrick Bell passed away on October 5, 2011. Good to see you posting this. Bell is a great American, patriot, veteran who truly lived the American Dream. So, yeah, he was the exact opposite of Hannity.